I don’t get the urge (or time) to play games on my phone very often, which makes it all the more significant that my app recommendation is a minimalist physics puzzler from Jonathan Topf, a games artist and one of the creators of Monument Valley. I’m not going to dress it up, it’s flicking a ball into a box through a progression of increasingly difficult levels. But while that aim sounds simple, it’s really not once you get into the game a bit. At its most basic, all you need to do is place your finger inside the grey box with dotted lines, pull back and watch your ball fly, with the goal being to get it into the box with a flag in it. How cleanly you achieve the goal dictates the score you get. 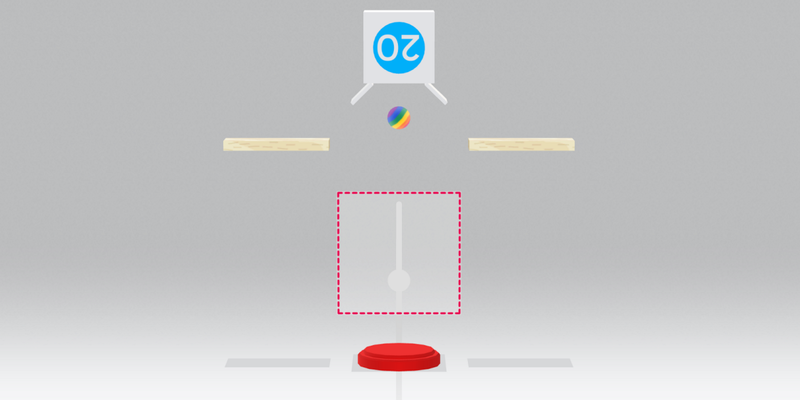 As you progress through the 90 levels, new obstacles and challenges are introduced, like levers that move certain objects out of the way for a short period of time, or bouncing it off things that make the flag rotate so you can get the ball in. It’s a sort of good-looking hybrid of pool and golf, where anyone who loves working out angles will happily while away a few minutes while on the bus. Even better, it’s available for both iOS and Android, so there’s no reason for anyone to miss out. It’s not free though, you’ll have to shell out the $1.99 just like I did.